Per his military service record (Depot), Joseph Wilson was born at Glasgow, Scotland. He gave his age as 40 years and 3 months, his marital status as single, and his occupation as labourer. His description on his Certificate of Medical Examination was height 5 feet 8 inches tall, weight 11 stone 4 lbs., with a fair complexion, blue eyes, and grey hair. His religious denomination was Presbyterian. He claimed he had no previous military service. He was attested at Lawson on 7th November 1915 (the day the Coo-ees rested at Lawson), and completed his medical examination at Lawson on 8th November 1915. His next of kin was recorded on his Australian Imperial Force Attestation Paper of Persons Enlisted for Service Abroad form as his brother, John Wilson, Victoria. On 22nd November 1915 Private Wilson was charged with drunkenness in Company Lines on 21st November 1915. He was issued with a warning. On 14th December 1915 Private Wilson was charged with being absent without leave from 2nd December 1915 till 12 noon on 13th December 1915. He was recommended to be discharged. 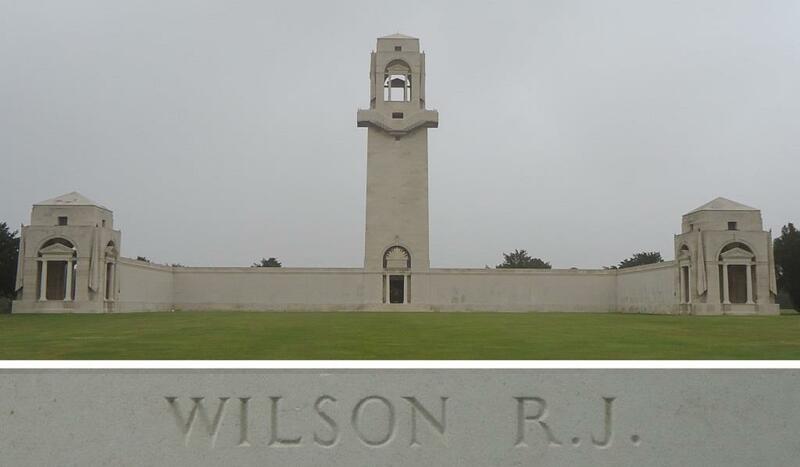 On 15th December 1915 Private Wilson was discharged not likely to become an efficient soldier. Per his military service record (regimental no. 4754), Charles Crease was born at Camperdown, N.S.W. He gave his age as 38 years, his marital status as single, and his occupation as labourer. His description on his Certificate of Medical Examination was height 5 feet 6 inches tall, weight 146 lbs., with a ruddy complexion, brown eyes, and dark brown hair. His religious denomination was Roman Catholic. He claimed to have no previous military service. He was attested by Lieutenant F. Middenway when the Coo-ees were at Lawson on 7th November 1915. He completed his medical examination at Lawson on 8th November 1915. On his embarkation roll his address at time of enrolment was Kiyare, Simmonds Street, Enmore, N.S.W. His next of kin was listed as his sister, Mrs J. Lathan, at the same address. On 8th March 1916 Private Crease, along with many of the other Coo-ees, departed Sydney on the HMAT A15 Star of England. He arrived in Egypt on 11th April 1916. On 19th April 1916 Private Crease was transferred to the 45th Battalion at Tel-el-Kebir. On the 2nd June 1916 Private Crease left Alexandria aboard the transport Kinfauns Castle bound for France. He disembarked at Marseilles on 9th June 1916. Private Crease served with the 45th Battalion through its first action at Fleurbaix, France in July 1916 then as it moved to Pozieres in early August 1916. On 12th August 1916 the 45th Battalion was in reserve trenches between Pozieres and Martinpuich, when Private Crease was wounded in action, receiving a shrapnel wound to his left hand. He was evacuated to the 44th Casualty Clearing Station. On 13th August 1916 he was sent to the 24th General Hospital at Etaples, France. On 6th September 1916 Private Crease was discharged from hospital, and sent to the 4th Australian Division Base Depot. On 17th October 1916 Private Crease rejoined the 13th Battalion when it was conducting training and supplying fatigue parties at Murrumbidgee Camp at La Clyette, Belgium. On 9th May 1917 the 13th Battalion was conducting training at Bresle, France, when Private Crease was admitted to the 56th Casualty Clearing Station suffering Neuritis. He rejoined the Battalion on 15th May 1917. On 29th September 1917 the 13th Battalion was near Zonnebeke, Belgium, when Private Crease was wounded in action, receiving shrapnel wounds to his arm, legs and chest. He was evacuated to the 3rd Australian Field Ambulance, then on to the 10th Casualty Clearing Station. On 5th October 1917 Private Crease was moved back to the 1st Canadian General Hospital at Etaples, France. On 16th October 1917 Private Crease was evacuated to England on the Hospital Ship Newhaven, where he was admitted to the 1st Western General Hospital at Liverpool, England. Private Crease was discharged from hospital on 12th December 1917, and granted leave till 26th December 1917, when he reported to the No. 4 Command Depot at Hurdcott, England. On 27th December 1917 Private Crease was admitted to the camp hospital sick [VD Venereal Disease]. He was discharged on 3rd January 1918. On 14th February 1918 Private Crease was transferred to the No. 2 Command Depot at Weymouth, England. Private Crease left England on 12th March 1918 for return to Australia aboard the S.S. Kenilworth Castle. The ship arrived at Cape Town, South Africa on 28th March 1918. On 28th April 1918 Private Crease departed Cape Town aboard the H.T. Field Marshall. He arrived in Australian on 22nd May 1918 (gunshot wound right groin and abdomen). Australia War Memorial. First World War Embarkation Rolls, Charles Crease, HMAT Star of England A15, 8 March 1916. Australian Imperial Force unit war diaries, 1914-18 War, AWM4 Subclass 23/62 – 45th Infantry Battalion, AWM4 23/62/8 – October 1916. Australian Imperial Force unit war diaries, 1914-18 War, AWM4 Subclass 23/62 – 45th Infantry Battalion, AWM4 23/62/19 – September 1917. Per his military service record (regimental no. 4750), Percy Frederick Cooper was born at Newport, Isle of Wight, England. He gave his age as 28 years and 5 months, his marital status as single, and his occupation as railway fettler. His description on his medical was height 5 feet 8inches tall, weight 150 lbs., with a dark complexion, grey eyes, and dark brown hair. His religious denomination was Church of England. He claimed to have 2 years and 7 months previous military service with the Howitzer Battery Royal Field Artillery. He was attested by Captain A. C. Eade at Lawson at Lawson on 7th November 1915. The Coo-ees had held a recruiting meeting in front of the post office at Lawson the evening before. After completing the Coo-ee March he went to Liverpool Camp as reinforcement for the 13th Battalion. He completed his medical examination at Liverpool on 13th November 1915. On his embarkation roll his address at time of enrolment was Parkview, West Street, Petersham, N.S.W. His next of kin is listed as his father, H. [Henry] Cooper, 6 Bellemead Street, Newport, Isle of Wight, England. On 8th March 1916 Private Cooper along with many of the other Coo-ees departed Sydney on the HMAT A15 Star of England, and arrived in Egypt on the 11th April 1916. On 19th April 1916 Private Cooper was transferred to the 45th Battalion at Tel-el-Kebir. On the 2nd June 1916 Private Cooper left Alexandria aboard the transport Kinfauns Castle bound for France, disembarking at Marseilles on 9th June 1916. Private Cooper served with the 45th Battalion through its first action at Fleurbaix, France in July 1916 then through the battles around Pozieres and Mouquet Farm in August, September and October 1916. On 17th April 1917 the 45th Battalion was training at Bresle in France, when Private Cooper was admitted to the 13th Field Ambulance suffering Rheumatism. He was sent to the Divisional Rest Station. On 24th April 1917 he was transferred to the 56th Casualty Clearing Station. He was discharged to duty on 11th May 1917. On 12th May 1917 Private Cooper returned to the 45th Battalion when it was still at Bresle, France. Less than a month later, on 8th June 1917 the 45th Battalion was involved in the Battle of Messines in Belgium when Private Cooper was wounded in action receiving a gunshot wound to his neck and back and left knee. He was evacuated to the 9th Field Ambulance. On 9th June 1917 he was transferred to the 9th General Hospital at Rouen, France. On 14th June 1917 Private Cooper was placed aboard Hospital Ship St. George for evacuation to England. On 15th June 1917 he was admitted to the Tooting Military Hospital with gunshot wound to the right shoulder and left knee. On the 19th of July 1917 he was transferred to the 3rd Australian Auxiliary Hospital at Dartford, England. On 23rd July 1917 Private Cooper was discharged from Hospital and granted leave to report to No. 3 Command Depot at Hurdcott on 6th August 1917. On 21st August 1917 Private Cooper marched in to the Overseas Training Brigade at Perham Downs. On 17th September 1917 Private Cooper departed Southampton, England for return to France. On 18th September 1917 Private Cooper marched into the 4th Australian Division Base Depot at Le Harve, France. On 30th September 1917 Private Cooper re-joined the 45th Battalion when it was at China Wall, near Ieper (Ypres) in Belgium, after just coming out of the front line. Just over two months later, on 5th December 1917 the 45th Battalion was at St Quentin, France, preparing to move to Peronne, when Private Cooper was sent to the 12th Australian Field Ambulance, then admitted to the 2nd Canadian General Hospital suffering Trench Fever. On 9th December 1917 he was transferred to the 3rd Convalescent Depot. On 22nd January 1918 he was discharged and sent to the 4th Australian Division Base Depot at Le Harve. On 9th February 1918 Private Cooper returned to the 45th Battalion when it was at in the front line in the vicinity of Hollebeke, Belgium. On 28th September 1918 Private Cooper was appointed a Lance Corporal when the Battalion was at Pissy, France. On 1st October 1918 Lance Corporal Cooper was granted leave to England. He re-joined the 45th Battalion on 17th October 1918 when it was at Pissy, France. He remained with the 45th Battalion in France for the rest of the war. On 18th January 1919 Lance Corporal Cooper was granted leave to England until 3rd February 1919. He returned to the 45th Battalion on 14th February 1919 when it was training in the vicinity of Namur, Belgium. 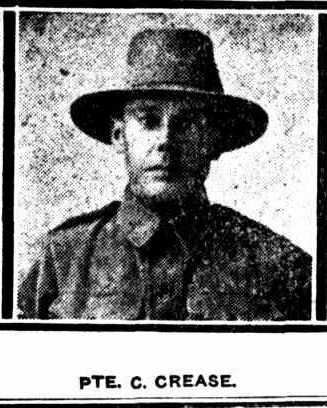 On 23rd February 1919 Lance Corporal Cooper departed France bound for England to commence his return to Australia. Lance Corporal Cooper marched into the No. 4 Command Depot at Hurdcott on 14th March 1919. Lance Corporal Cooper commenced his return to Australia from Devonport on 1st May 1919 aboard the H.T. China, arriving in Australia on 11th June 1919. He was discharged medically unfit on 11th August 1919.